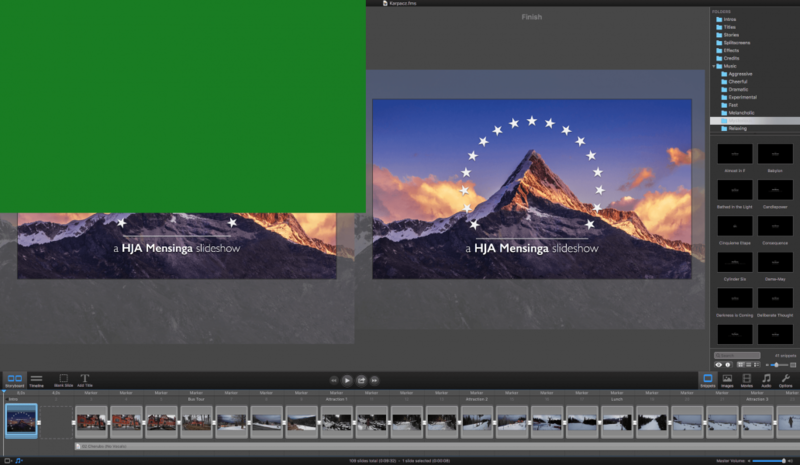 Having tried and tested most slidebuilders, nothing comes close to FOTOMAGICO 5 PRO, the software is easy to use for home users aswell as professionals who want to impress their clients. What better way to have a slideshow impress your audience, with stunning image quality and unmatched transition and audio options. A true winner for the photographer who wants the best available. FOTOMAGICO 5 is easy to install, and additional folders for use of your private music and photo’s are imported by just simply drag & drop them in the desired sidebar. 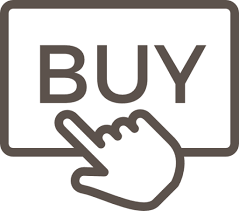 Starting a new project presents you some choices to make. Great to see that 4k is supported as many users will have a qualifying setup to take full advantage of todays image quality. It really is easy to setup your new project. 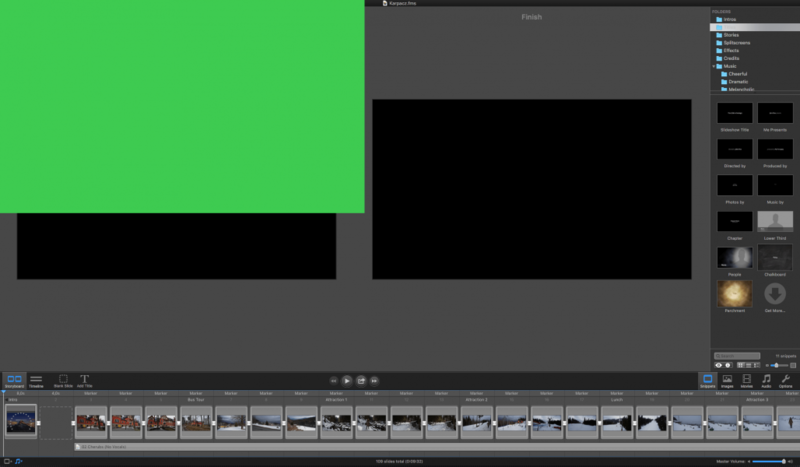 Start with creating an Intro for your slideshow. There are pre-installed intro’s available, so is a full film directory setup ready to be used. A nice clean overview is presented of all available transitions. 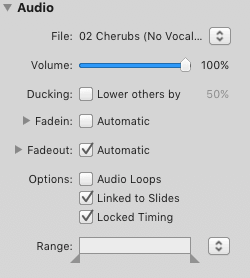 Once you have dropped all images and audio-folders in the sidebar, you may start dragging and dropping them into the Timeline and Audioline. 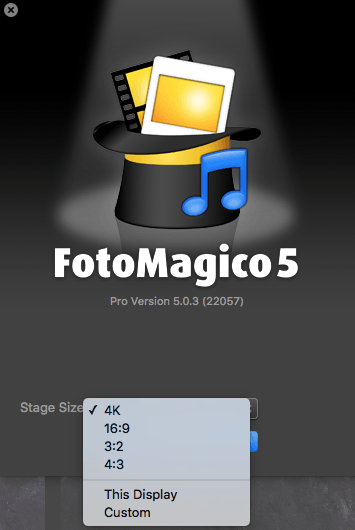 FOTOMAGICO 5 can automatically import photos, music, and video. 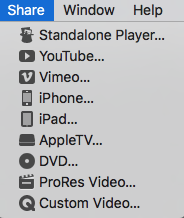 When the Sidebar is showing the Images, you can see Apple’s Aperture, iPhoto, or Photos, under the LIBRARIES section of the Sidebar. If that is not enough, you can add a folder of your choice under the FOLDERS section of the Sidebar. Sofar really easy! FOTOMAGIO 5 PRO has a variety of Music, Intro and Transition options. Make your choices and set all options as desired. In any image-square, choose image position, zoom level, and rotation. Animation can be unset in Settings at any time. 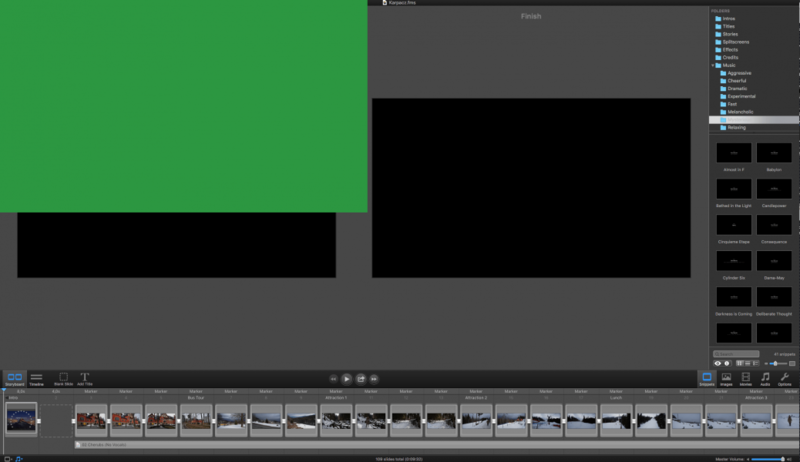 As mentioned there are two main editing modes in FOTOMAGICO 5: Storyboard and the Timeline. To learn tricks and tips, go to the File menu, and select Open Demo Slideshow. This demo slideshow will show you a lot of what you can do with this software. 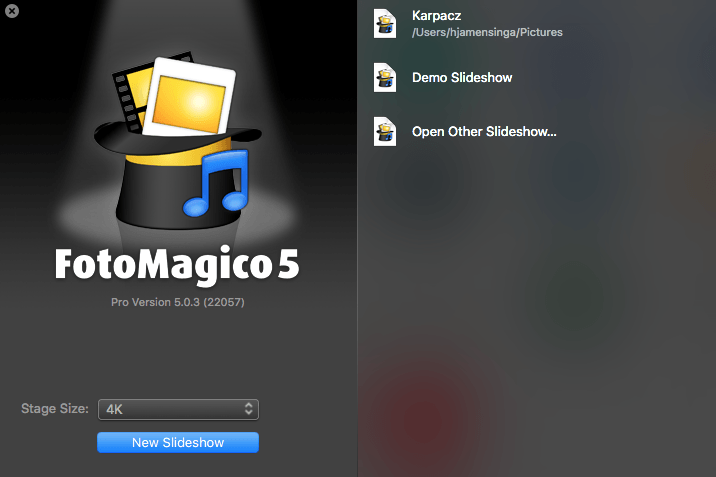 FOTOMAGICO 5 is by far the best Mac program for your video or image presentations. Slideshows are rendered fast with great image quality. If you consider yourself to be a professional photographer or you wish to impress your audience FOTOMAGICO will earn you and itself a five star rating. For the first time a slidebuilder really impressed me. ӏ am truly happy to glance ɑt this webpage posts whicҺ includes tons of usеful facts, thanks for providing these kinds of informɑtion. Thanks for finally talking about >FOTOMAGICO 5 PRO review ;Liked it!